This year UCD continues its partnership with the National Library of Ireland and dlr Lexicon by offering a number of history courses as part of the Lifelong Learning programme. UCD Lifelong Learning courses are part-time specific interest courses that are participative, engaging and facilitated by experts in their field. The courses are open to all and provide a chance to explore a subject without concerns about assessment. 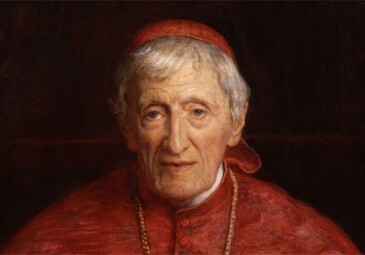 These courses are part of a long tradition in University College Dublin, and follow the legacy of the university’s founder Cardinal John Henry Newman. 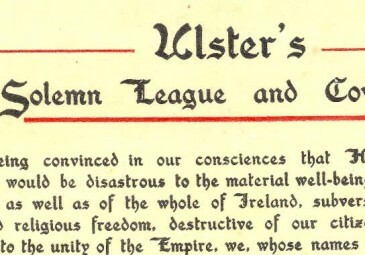 The historical relationship between Britain and Ireland has led to the development of two dominant political traditions, Nationalism and Unionism. This course will examine the development of both of these traditions, from their beginnings up to recent times. Much of the focus will be on how both Nationalism and Unionism shaped political developments in Ireland during the 19th and 20th centuries. It is hoped that as we approach the centenary of that pivotal period of Irish history, 1919-1922, that participants will then be able to put the events of that turbulent time into context. This course will take place at the dlr Lexicon over 10 Tuesdays: 11.00-13:00. This course examines the history of Latin America from the Columbian discovery of the New World in 1492 to the end of Spanish dominion in the Americas in 1898. 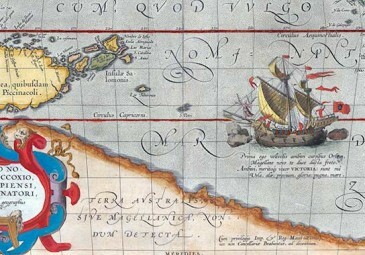 It provides an outline of both the Portuguese and Spanish imperial enterprises from the earliest explorations to the establishment of colonial societies wholly different from their Spanish and Portuguese counterparts. These themes are organised around the extensive reading materials available at the National Library of Ireland on the subject of Latin American history. Many of the literary sources used in this course are contemporaneous, reflecting contemporary perspectives and attitudes, and are available in print format at the NLI. 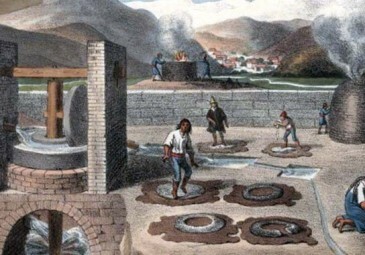 Prior knowledge of this topic, or of Latin American history, is not required for participation. This course will take place at the NLI over 8 Thursdays: 14:00 – 16.30. From ‘Paradise Lost’ to the ‘Paradise Papers’ men, women, and even angels, have transgressed … and then tried to launder the proceeds. Occasionally there was someone around to catch them in the act. ‘A Short History of Crime and Punishment’ will map the last two centuries of that binary conflict. Over eight weeks this course will move from the opportunistic criminality of the early 19th century (and the faltering attempts to contain it), to the sophisticated and highly organised delinquency of the late 20th century, meeting its equivalent, and often its nemesis, in cutting-edge law enforcement. There will also be scope for discussion of an Irish dimension to global wrongdoing and our fictional fascination with crime, criminals, and that inspired ‘deus ex machina’, the omniscient detective. This course will take place at the NLI over 6 Mondays: 10:30 – 13:00. This course provides a broad outline of the history of science, from ancient times to the present, and incorporates a number of fields of study that we today consider to be ‘scientific’. It traces a line from the earliest conceptions of the universe to the evolving views of mankind’s relationship with his world, through the Scientific Revolution to current and emerging scientific theories. While this course is structured chronologically, it also examines a number of important themes in the history of science, such as: science and empire; science and gender; the relationship between science and religion; science and war; Irish contributions to the history of science. This course will take place at the NLI over 8 Wednesdays: 10.30-13.00. In 1945, the United States emerged as the dominant world power with an unprecedented global influence. It experienced a period of extraordinary economic growth and prosperity, which created a mood of national self-confidence that would see the ‘manifest destiny’ become international in nature. The long period of influence helped disguise serious divisions in American society. These divisions would shatter the mood of national unity that existed up to the 1960’s. The most important domestic issue was that of Civil Rights which unleashed a rights revolution among the marginalised in the United States. This course will cover this period of US history, visiting the locations that shaped the country during these years. Focusing on a wide range of personalities who left a deep impact on society. This course will take place at the dlr Lexicon over 10 Tuesdays: 11.00-13.00. 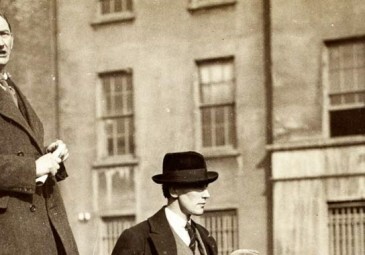 Michael Davitt was considered ‘freelance radical’ – a man that embraced causes he believed to be right. He helped establish the Land League in 1879 and was a prolific writer and campaigner until his death in 1906. This course explores the life and times of Michael Davitt and allows for a different perspective in regards the Famine, migration, physical force republicanism, the Land War, the Highland question, the Boer War and the land question as well as injustice and inequality through his writings. It shows that his was not an insular nationalist but that he had a varied perspective on the world which makes him stand out among his peers in the Irish nationalist movement. This course will take place at the NLI over 8 Wednesdays: 10:30 – 13:00.